Do you like to work with animals? 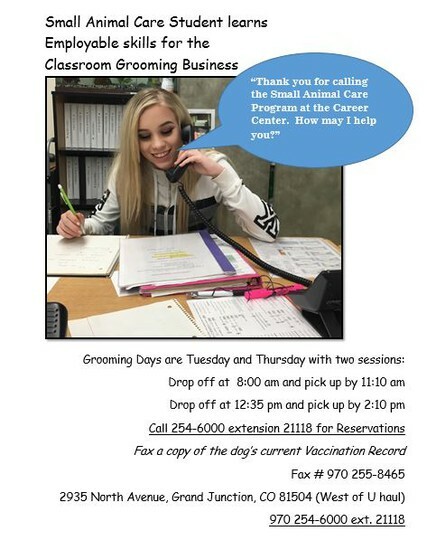 This class introduces students to skills necessary to perform jobs for small animal kennels, animal day care facilities, pet stores and animal clinics. Students will participate in off campus field trips to veterinary clinics, specialized veterinary clinics, boarding kennels, humane societies, pet stores, animal breeder, feed stores, local groomers and other sites related to the class curriculum. Students earn high school math and science credits.